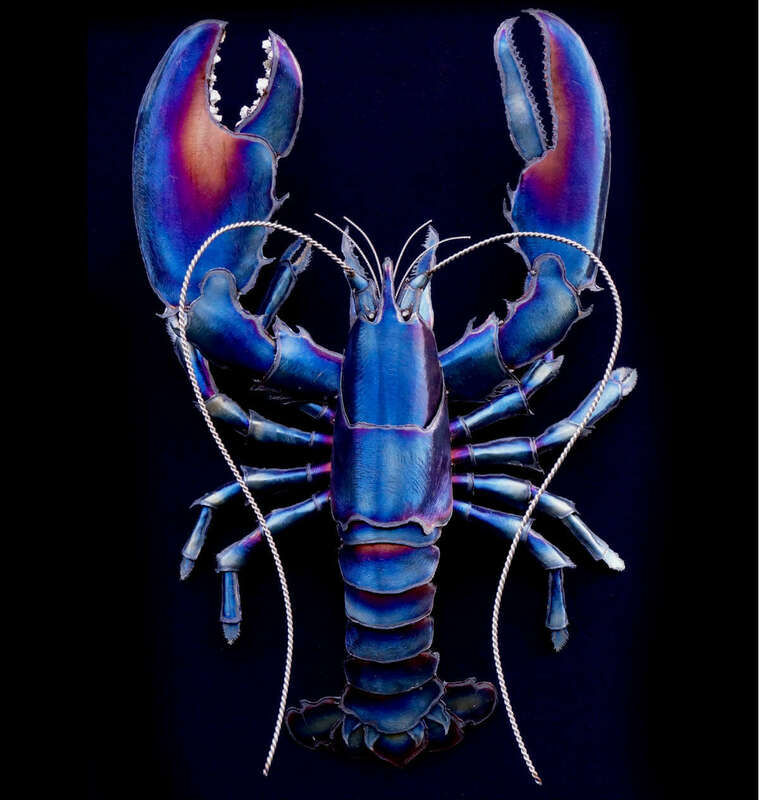 This metal blue lobster sculpture is wall hanging and made entirely of stainless steel. 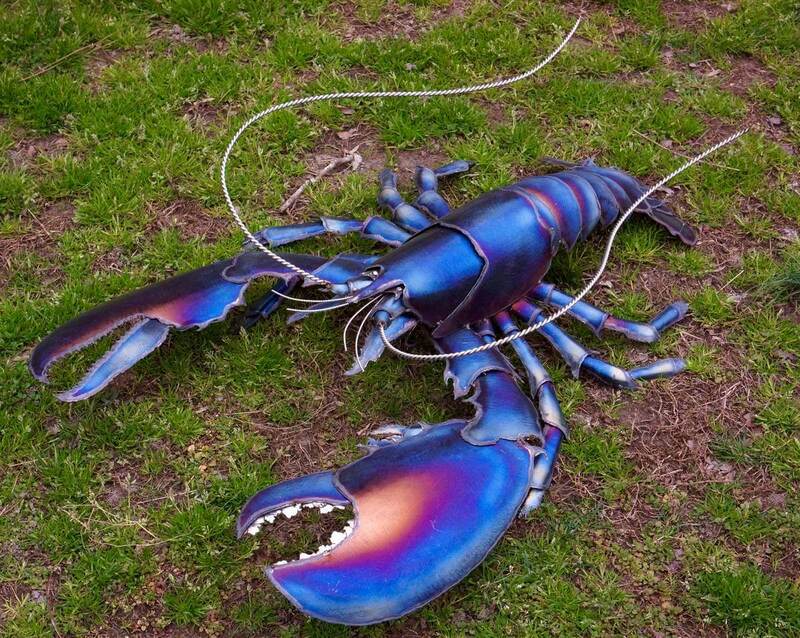 The first metal sculpture i ever made was a lobster. They of course lend themselves well to metal with their beautiful repetitive, layered exoskeleton. I love the flowering affect that the tail, and the leg cuffs on either side of the body have. I am particularly pleased with the facial structure with all the antenna and their housings as well as the silver detail within the large claw. 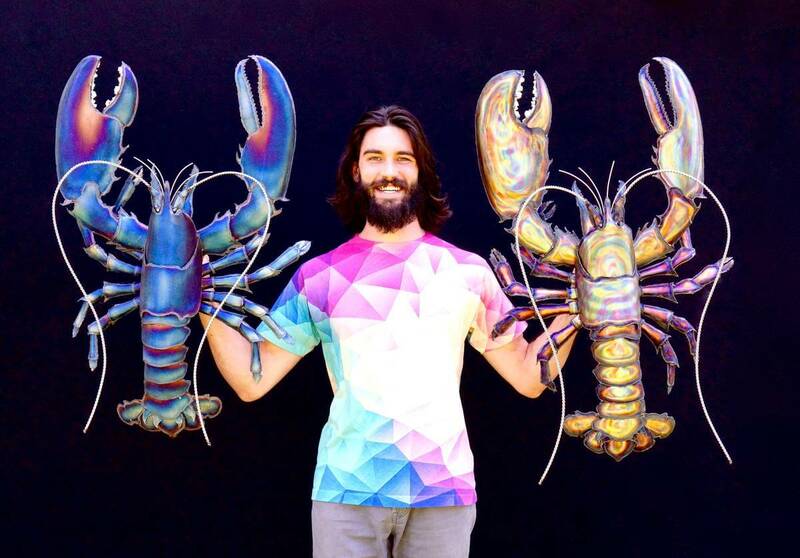 I feel the blue really shows of the natural beauty of the overlapping segments present in lobsters. This sculpture is completely safe to be kept outdoors!